The Martin Act was passed in 1921 by the New York State legislature. The law was passed during an explosion of regulatory activity that saw 47 of the, then, 48 states in the Union adopt similar laws during an approximately 22 year period from 1911 to 1933. The Martin Act and its contemporary laws are what is known as blue sky laws. Blue sky laws are concerned with the regulation of the offering and sale of securities to the general public. The chief goal behind the Martin Act is to protect the public from fraudulent financial schemes including securities fraud. 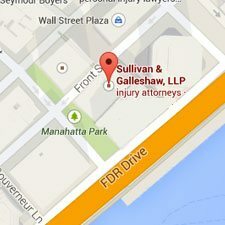 The Martin Act is a fairly unique body of law and, if facing charges under the statute, you should contact an attorney immediately. One reason as to why representation is so important at the outset is because, the Investor’s Protection Bureau (IPB) is responsible for investigating potential violations of the law and enforcing the Martin Act. However, under the Martin Act there is often no right to have an attorney present because testimony is taken in investigatory proceedings. 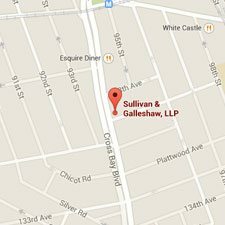 Engaging with an experienced criminal defense attorney, such as those of Sullivan & Galleshaw, immediately can increase the likelihood that the IPB will permit your lawyer to be present. Furthermore, your attorney can begin analyzing the facts and circumstances present in your matter so that a strategic legal defense can be prepared. What does the Martin Act require and prohibit? The Martin Act is New York’s state securities law. The law authorizes the New York Attorney General to investigate suspected fraudulent acts relating to the offer or transfer of securities. The Martin Act is unique in the fact that for its misdemeanor level fraud crimes, it does not require the proof of intent for the finding of a guilty verdict. The penalty for the misdemeanor version of the crime includes imprisonment for up to 1 year and up to $500 in fines. If intent in the violation of a provision of the Martin Act can be demonstrated, then felony charges are likely. If convicted for a class E felony under the Martin Act an individual can face one to four years in prison. Defenses to charges filed under the Martin Act can include infancy for those who have yet to reach the age of 16. The presence of a mental disease or mental disturbance has also been successfully invoked as a defense to charges under the Act. Finally, the defense that the sale or purchase did not actually constitute a public offering has also been found to be a viable defense to securities charges in New York. While the Martin Act itself does not give rise to a private cause of action, until fairly recently, it was still an open question as to whether the Martin law would preempt private parties from asserting common law claims for securities frauds that are covered by the state law. In December 2011, in Assured Guaranty v. J.P. Morgan Investment Management the New York Court of Appeals announced that the Martin Act did not preempt common law causes of action. What this means is that if an individual believes that they have been defrauded or otherwise harmed by dishonest acts in the, “the issuance, exchange, purchase, sale, promotion, negotiation, advertisement, investment advice or distribution within or from [New York] of any stocks, bonds, or [notes],” then they can also file a civil lawsuit against the accused provided that a cause of action in the common law exists. Cases following Assured Guaranty have reflected this shift. In one case involving investors who claimed to be fraudulently induced into purchase limited partnership interests in a company invested in Bernard Madoff’s financial scheme was initially dismissed as being preempted on both the unjust enrichment and fraud claims. Following Assured Guaranty, the matter was reconsidered and both claims were reinstated because only common law claims that rely entirely on the Martin Act are preempted. Because this matter also relied on misleading documentation supplied and other fraudulent conduct, it would not be precluded. In short, before disposing of a common law action that relates to a Martin Act violation a New York court must New York courts must determine whether the cause of action relating to the securities or real estate offerings would exist outside of the Martin Act’s requirements. If so, the civil suit will be permitted to proceed potentially subjecting the criminally accused to additional civil liability. Facing securities charges? Rely on our criminal defense practice. Convictions for violations under the Martin Act or related common law can lead to severe criminal penalties, civil liability, and the loss of reputation and stigma of being involved in dishonest or bad-faith dealings. For those in the financial industry, such charges can prove to be a significant professional setback or necessitate a change in careers. 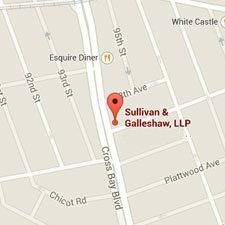 The attorneys of Sullivan & Galleshaw are dedicated to defending those accused of serious crimes. We protect your rights and formulate a legal strategy that is likely to mitigate or eliminate the criminal consequences you face. For a free and confidential initial consultation, call (800) 730-0135 or contact us online.